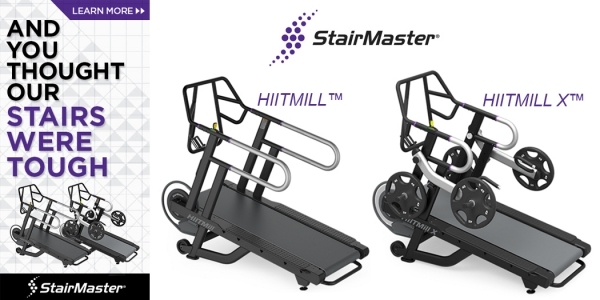 New StairMaster HIITMill & HIITMill X Now In Stock! From the makers of the toughest workouts in the gym, comes the HIITMill X. 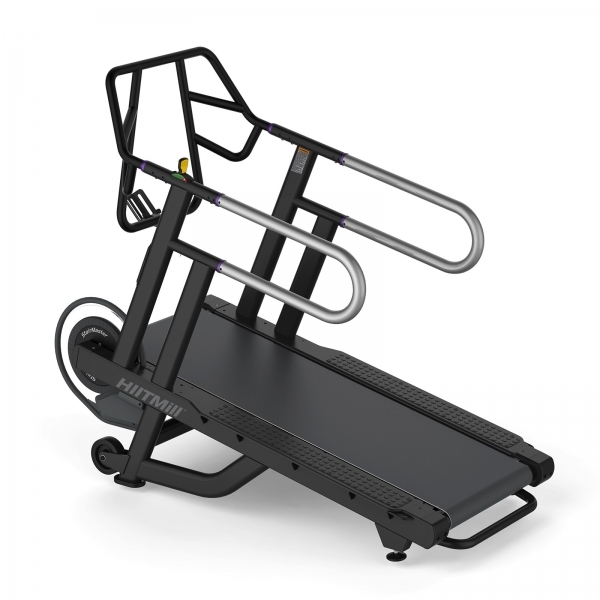 Unlike a standard treadmill, this machine is a self-powered speed and strength training tool designed to build explosive power when used in a High-Intensity Interval Training program. This High-Intensity machine delivers an effective resistance training platform that captures the benefits of speed and agility training, lateral training and sled training. 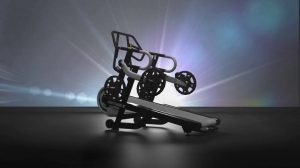 Users can now push, drive and sprint with the resistance of a sled, safely and with a smaller footprint. These easy to use tools allow users to drive up metabolic intensity and make for a more space efficient solution to alternative training methods. Gear up for one tough and rewarding HIIT workout that members will love to hate. The HIITMill X is a speed and strength training tool designed to build explosive power when used in a HIIT High Intensity Interval Training Program. The HIITMill X capture's the benefits of pushing, pulling, driving, sprinting with resistance driving up metabolic intensity with easy to use tools which come in a space efficient solution. 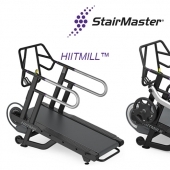 HIITMill X offers the benefits of sled training, lateral training and speed and agility training. HIITMill's are self-powered, non-motorized, portable training tools.